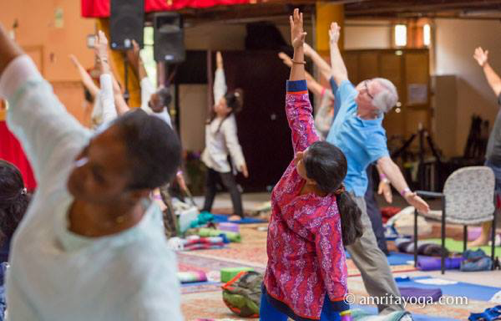 The Amrita Karma Yoga Program was established to create an opportunity for individuals to practice Amma’s teachings of spiritual growth through selfless service. 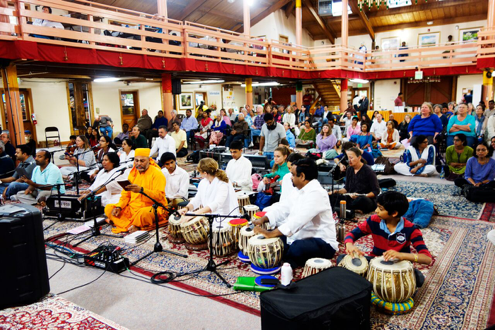 At MA Center - San Ramon, Karma Yogis are immersed in an environment where they can deepen their spiritual relationship to Amma and their connection to the community by participating in the Ashram’s daily routines and supporting Amma’s charitable activities (known collectively as Embracing the World). 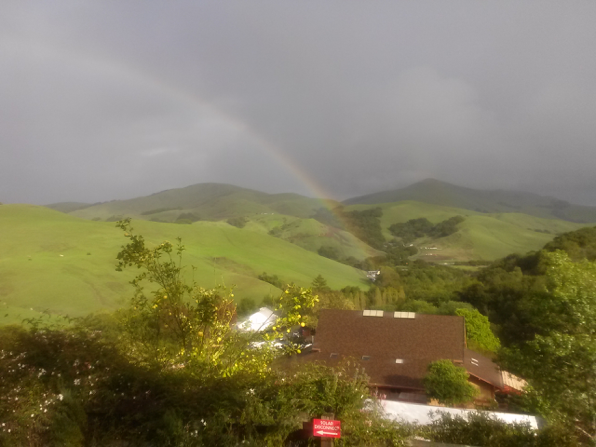 Nestled in the hills just 45 minutes outside of San Francisco, California, MA Center San Ramon lies on 140 acres, and is the only place where Amma has spent the most time outside Amritapuri - Amma’s Ashram in Kerala, India. Deer, turkey, owls, and other wildlife share the land with us as a constant reminder of our connection to Mother Nature. Karma Yoga is integral to the sadhana (spiritual practices) prescribed by Amma for individuals seeking spiritual growth. Along with Bhakti Yoga (devotion), Raja Yoga (meditation) and Jnana Yoga (self reflection), Karma Yoga is an ancient path to the expansion of consciousness - i.e., to knowing one’s higher self and realizing one’s connection to all of creation. This is done through performing service without expecting any personal reward. The ultimate goal is that, while performing all actions selflessly and with awareness and love, the mind is purified of negative impulses, and every one of our actions becomes a meditation. The Karma Yoga program starts with an initial two-week trial period where the individual is introduced to the various departments and gets to experience Ashram life. After the two-week period, the applicant meets with the Karma Yoga Committee to determine if the program is a good fit for the applicant and to discuss the possibility of extending their stay for up to two months. All of the karma yoga projects benefit Amma’s humanitarian activities. 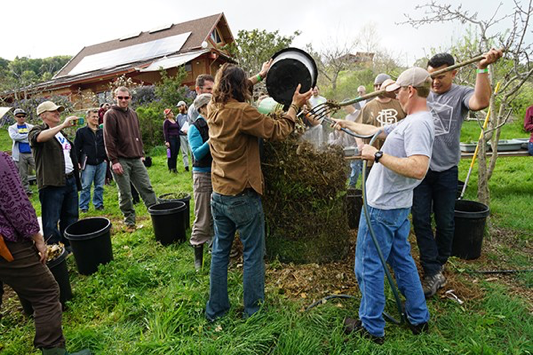 Karma Yogi program includes 6 hours of seva per day in a 5-day week. The remaining two days are free for the Karma Yogi. To gain a well-rounded experience of ashram life, the karma yogis also participate in the daily Ashram schedule, as well as many of the special spiritual and educational programs held at the Ashram throughout their stay. 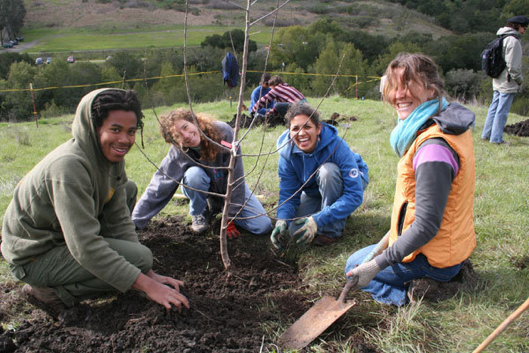 Green Friends Farm Orchard - Connect with Mother Nature by helping to implement sustainable agriculture through planting, trimming, harvesting, and caring for the nearly 1000 fruit trees at the Ashram. 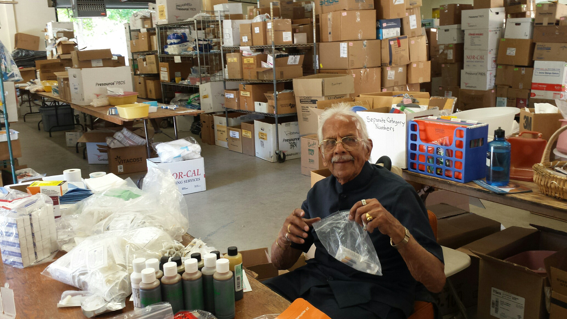 Preparing donated medical items for shipment to Amma’s charitable hospitals in India - When Amma is not holding programs at MA Center, our dining hall (Mandapam) is transformed into a warehouse where we sort, inventory, pack, and ship donated medical items to Amma’s Charitable hospitals in India. Maintenance and Construction Projects - Let your handy worker skills shine. 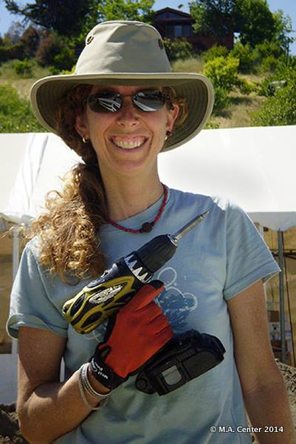 Carpenters, electricians, plumbers, weed whackers, novice or expert, you will get plenty of hands-on experience helping to keep the Ashram buildings and grounds in tip-top-shape. 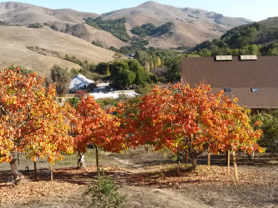 Saturday programs - Folks from all over the Bay Area come to the Ashram on Saturdays for a day of seva, lunch, and our evening program which includes chanting, satsang (talk), bhajans (devotional singing), and delicious vegetarian dinner. Special Programs and Festivals - Celebrate the many Indian festivals and celebrations from other spiritual traditions that are held at the Ashram throughout the year. 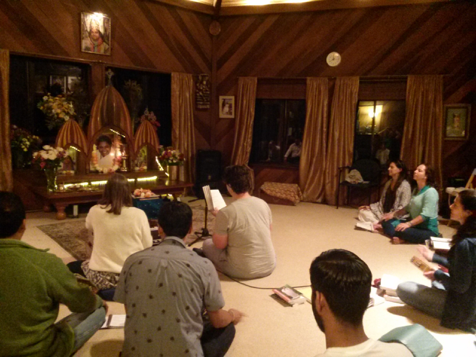 Retreats – full-day programs of meditation, chanting, satsang, bhajans, and more. Karma Yogis also participate with the residents in the general cleaning and upkeep of the Ashram common areas. Accommodations are in dorm-style rooms with shared baths. Meals are vegetarian and are communal. Eggs are permitted. The MA Center - San Ramon community extends throughout the Bay Area, with many satellite satsangs. 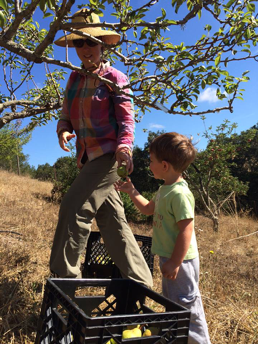 Individuals and families come from all over to participate in programs, and to help with projects, and perform selfless service throughout the year. Ashram Residents have chosen to dedicate their lives to selfless service and to helping support Amma’s charitable activities. We live together in community - learning and growing from each other under the wings of Amma’s teachings and direct guidance. As a Karma Yogi, you will become an integral part of this active community. Because of the requirements and commitments of participating in the Karma Yoga Program, it is not feasible or practical for participants to work or attend school while in the program. No alcohol, or drugs are permitted on the property. While enrolled in the program, KY participants are expected to abstain from alcohol and illegal substance use, including marijuana, both on and off the property. Participants also are expected to maintain celibacy while on the property. The Karma Yoga program is entirely voluntary, and at any time, for any reason, the KY participant may choose to leave the program or MA Center may elect to terminate the participant’s stay. Please note that submitting your application does not guarantee a placement in the karma yoga program. 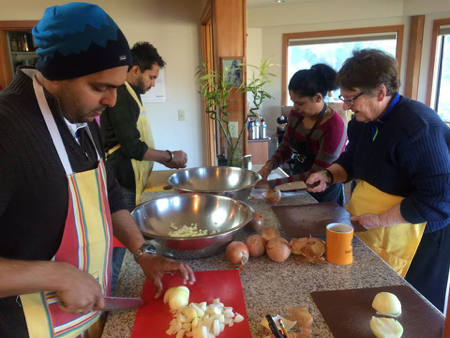 Individuals are always welcome to come to the Ashram to participate in the daily programs, to perform seva on seva days, or to attend any of the various programs held at MA Center throughout the year. More information about programs at MA Center can be found at www.amma.org/sanramon.